Comfort food alert! These Chicken Pot Pie Baked Potatoes For Two have the components of a pot pie without making a pie crust. Learn how to make baked potatoes in the oven and in the microwave for an easy weeknight dinner for two. Call me a dork, but I love going on tours to learn more about the place I’m visiting, whether it’s a tour of a recording studio in Memphis, a historical house in Philadelphia, or a tour of how food is made. Maybe it’s because I still love to learn. Or maybe because it’s an excuse to take photos for fun and not stress about it for work. If you see someone with a fancy camera taking an almost annoying amount of photos on a tour, either self guided or while the tour guide is talking, that would be me. I see the world in photos, so it’s hard for me to put my camera down when I see something. 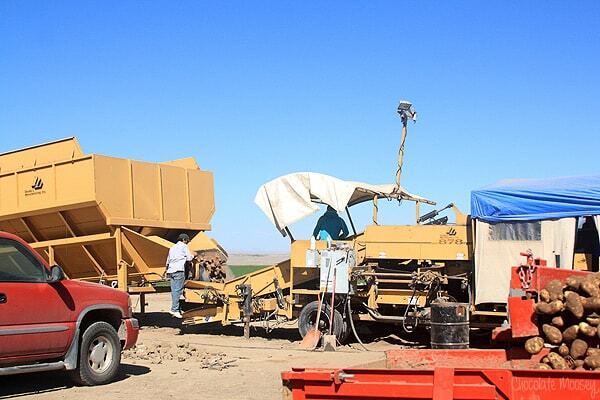 The Idaho Potato Commission invited me to experience the Idaho Potato Harvest where it was expected to yield about 12 billion pounds of potatoes this year, roughly one-third of all the potatoes grown in the U.S. I learned about the life cycle of a potato from field to fork and even dug some spuds for you to eat. As you can imagine, we ate every kind of potato there is – mashed, roasted, baked, fried, potato salad, potato rolls, and even potato chip cookies. You’d think after my trip to Idaho, I’d be tired of potatoes. Nope – I still ate baked potatoes when I got home. 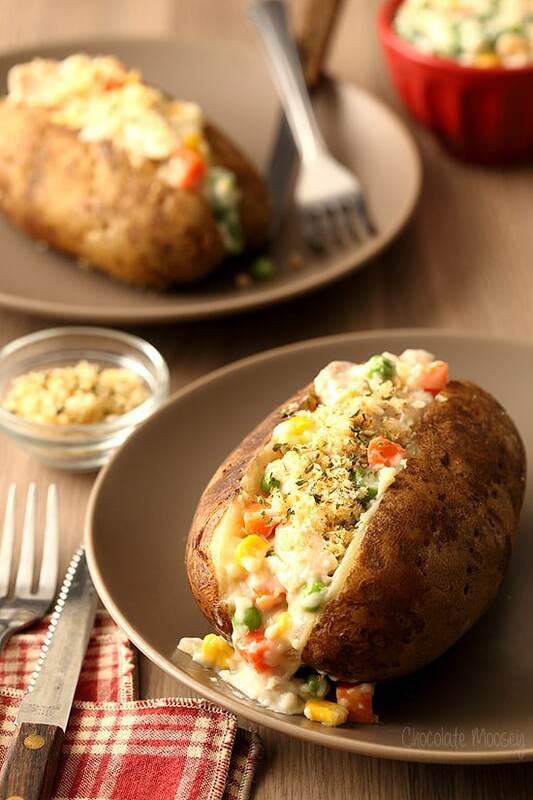 Baked potatoes are a favorite to eat because you can put almost anything on top and call it dinner. 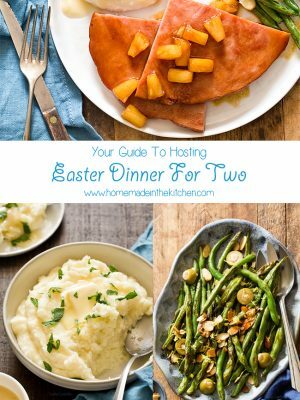 It’s a win-win if you’re cooking dinner for two since each potato can be customized for picky eaters. If I’m eating baked potato as a side, I’ll top mine with butter and sour cream. However, I wanted to turn it into a full meal. One where you don’t need to make a separate side dish because it’s all in one bite. That’s when I got the idea to make Chicken Pot Pie Baked Potatoes For Two. You cook a homemade pot pie filling with chicken and vegetables then pour it on top of a baked potato. To mimic pie crust, I made a breadcrumb topping to give it some crunch. 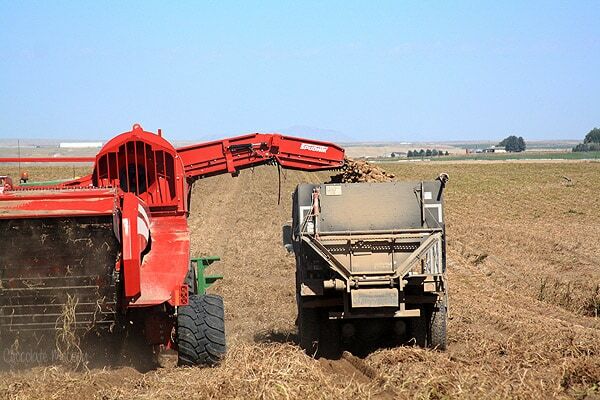 Every year, 300,000 acres of Idaho Potatoes are harvested. One truck alone carries roughly 30,000 pounds of freshly-dug potatoes to its destination. 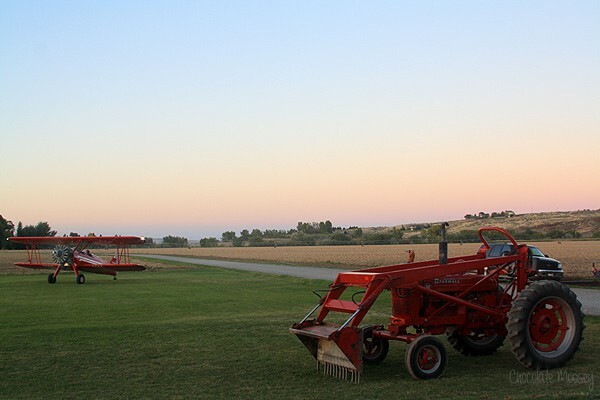 Of course they now use machinery to make harvesting much easier and quicker (I can’t even imagine digging all of those by hand; thank goodness for modern technology). While we were on one of the farms, we walked inside one of the storage barns, which was barely one quarter full of potatoes (I even took a video to show you the mountain of potatoes). 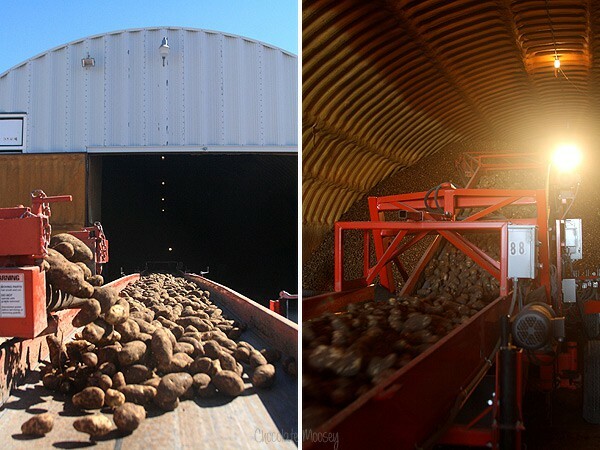 Once potatoes are loaded onto a truck, they are then transported to one of the various potato plants to be cleaned, sorted, and packaged for consumers to buy. 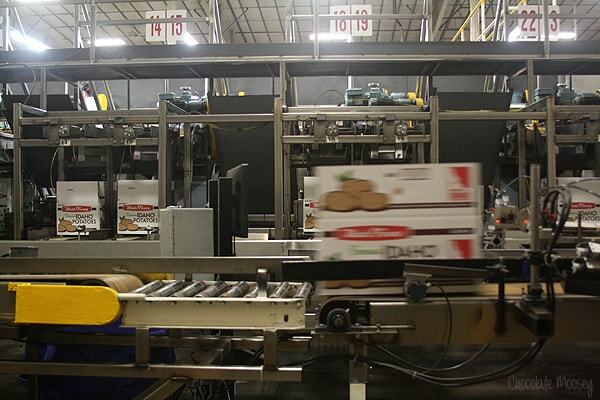 The plants all have a similar process – clean the potatoes, sort them by size, and prep them for packaging. 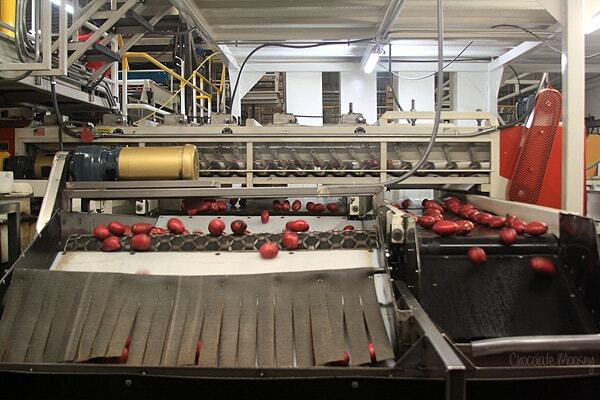 When cutting potatoes, they use technology to remove any bad spots, ensuring you receive only the best to eat. The plants are also very serious about food waste. 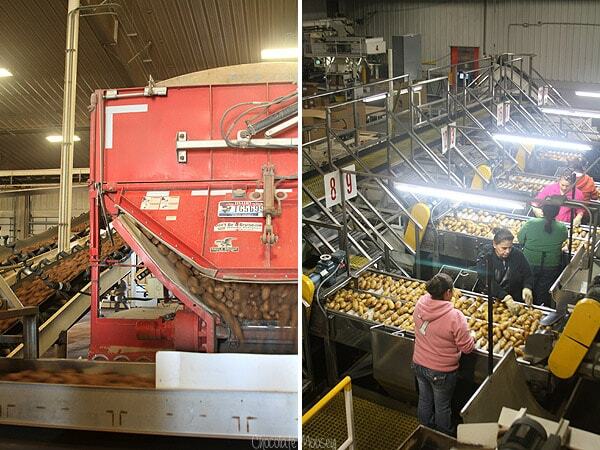 If any or all of the potato doesn’t make it to packaging, it’s usually turned into cattle feed. One food safety fact I learned about green potatoes: Potatoes turn green because they are overexposed to light. Although it is considered poisonous to eat the green spots, you would need to consume a lot of green potatoes to feel the effect (as in multiple pounds of green potatoes). It’s safe to remove the green part and still eat the rest of the non-green potato. Although everyone knows Idaho for their Russet Burbank potatoes (like the ones I used for my baked potatoes), they also grow niche varieties such as golds, reds, fingerlings, and more. Now that you learned a little more about how Idaho potatoes are harvested, let’s talk about baked potatoes for dinner. Ideally I enjoy traditional baked potatoes in the oven for their crispy skin and fluffy interior. However, that takes an hour, and not everyone has an hour to cook dinner. I grew up making baked potatoes in the microwave, which is totally acceptable. There are two ways you can bake a potato – in the microwave and in the oven. Microwave Directions: Place the potatoes in a microwave-safe casserole dish. Prick with the tines of a fork then brush each with olive oil and sprinkle with salt. Microwave at full power for 5 minutes. Flip and microwave for another 3-5 minutes or until soft. If the middle is still hard, microwave in additional 1 minute bursts until cooked through. Oven Directions: Place the potatoes on a baking sheet. Prick with the tines of a fork then brush each with olive oil and sprinkle with salt. Bake uncovered for 45-60 minutes or until fork tender. Looking for more chicken pot pie recipes? I also made chicken pot pie for two, chicken pot pie pasta, chicken pot pie soup, and chicken pot pie casserole. These Chicken Pot Pie Baked Potatoes For Two have the components of a pot pie without making a pie crust. 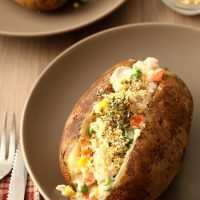 Learn how to make baked potatoes in the oven and in the microwave for an easy weeknight dinner for two. If baking potatoes in the oven: Preheat oven to 425F. Place the potatoes on a baking sheet. Prick with the tines of a fork then brush each with oil and sprinkle with salt. Bake uncovered for 45-60 minutes or until fork tender. If baking potatoes in the microwave: Place the potatoes in a microwave-safe casserole dish. Prick with the tines of a fork then brush each with oil and sprinkle with salt. Microwave at full power for 5 minutes. Flip and microwave for another 3-5 minutes or until soft. If the middle is still hard, microwave in additional 1 minute bursts until cooked through. Meanwhile, in a large skillet over medium heat, heat the oil. Once hot add the chicken. Cook for 4 minutes then flip and cook until no longer pink in the middle, another 3-5 minutes. Transfer the chicken to a bowl and keep warm. Melt 1 tablespoon butter and stir up any meat drippings left in the pan. Add onion and a pinch of salt and cook until soft, about 5 minutes. Stir in the flour to coat and make a roux (paste). Slowly whisk in the chicken broth and bring to a boil. Once boiling, cook until thickened, about 3-5 minutes. Stir in the milk and 1/2 teaspoon salt and bring back to a boil. Add the vegetables and cooked chicken. Cook another 1-2 minutes or until hot. 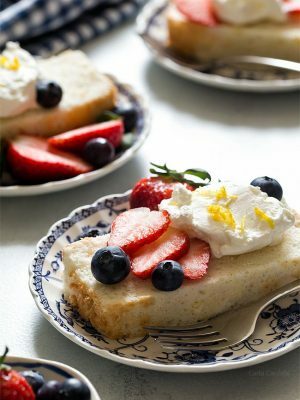 While the filling is cooking: In a small skillet, melt the remaining 1 tablespoon butter. Add the breadcrumbs and cook until brown, about 5-8 minutes. Stir in parsley and remaining 1/4 teaspoon salt. Cut each baked potato in half. Top with filling and breadcrumbs. Disclosure: This post is sponsored by Idaho Potato Commission. Thank you for supporting me and the companies I work with as sponsored posts help pay for website hosting and groceries. Sounds like you really got the insider’s view – and thanks for clarifying the bit about when potatoes turn green. I guess I’ll stop jumping up and down on my produce manager for turning the bags of potatoes the “wrong” way, now. LOL! And yes, I’ve never met a potato I didn’t like. And I’ve been known to put all sorts of things on top of a baked potato and call it supper! I love this idea so much because I have a gluten allergy and this recipe allows me to still have chicken pot pie!! Plus I love potatoes! This recipe still has gluten with the flour and breadcrumbs, but if you can figure out those substitutions, then yes you can have chicken pot pie again! 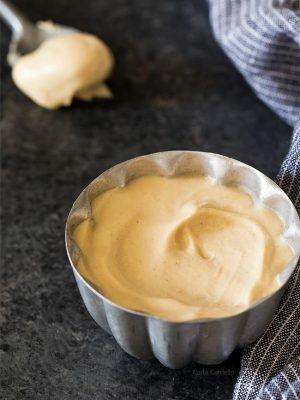 Love this twist on a bake potato! I’m all for the microwave method in this instance. 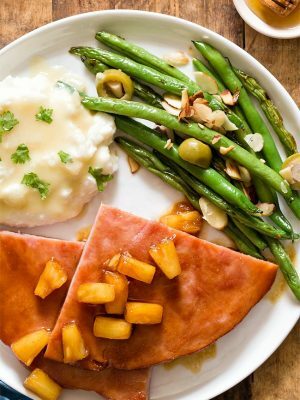 A great meal for a busy weeknight! 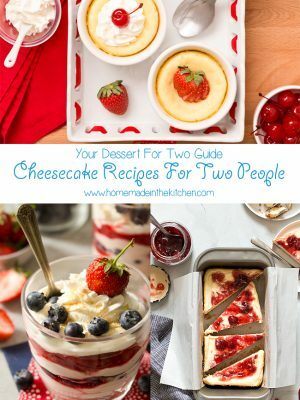 Love the recipe, love the photos, love the story, love it all, love, love, love! I had so much fun with you on this trip! And (as you know) potatoes are totally my comfort food. Any excuse to basically eat a potato for dinner, and I’m in. 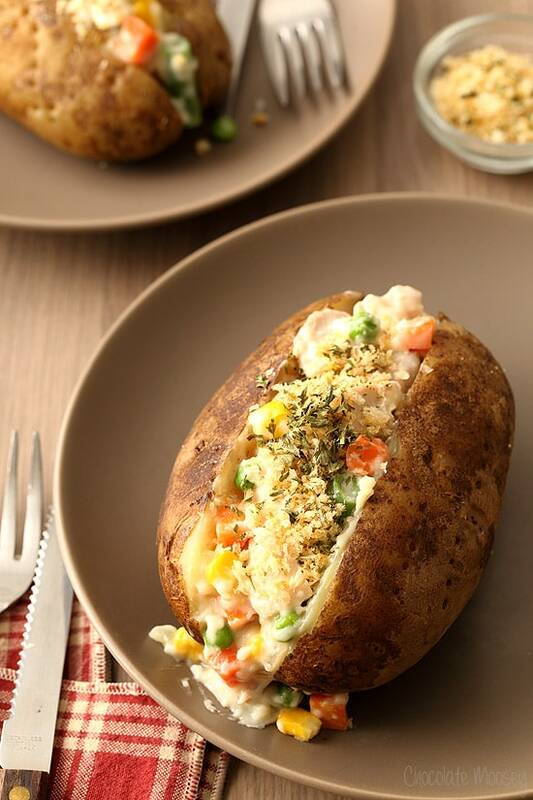 I can’t imagine anything more comforting than chicken pot pie…stuffed in a baked potato. 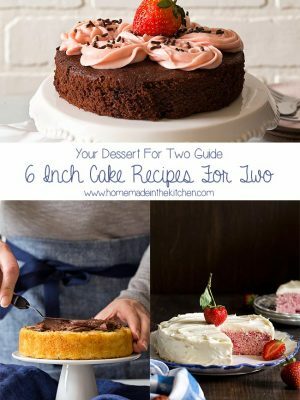 Such a creative and delicious idea! Me too! I’m glad we finally got to hang out more in person. I’m surprised we aren’t tired of potatoes yet. Next up on my list is mashed potatoes! still so jealous! That trip looks amazing! and I am so obsessed with this idea!!!! I looove pot pie and baked potatoes so combining the two is soo genius! This looks amazing! 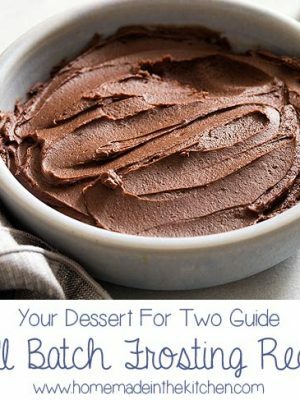 My daughter would go crazy for this recipe. Thank you! Oh my gosh this is brilliant! My gluten-intolerant baked potato-loving friend would love these. I’ll just have to use gluten free flour. It sounds like you had a great trip! So. Many. Spuds. 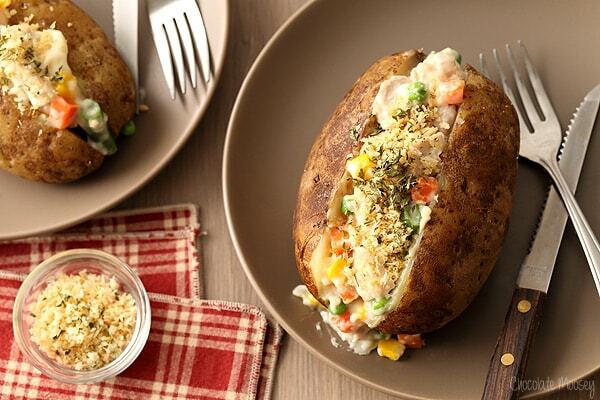 Girl, these stuffed potatoes are dripping with creamy goodness. I can’t wait to make these! Pinned. I love just roasting up a baked potato for dinner but you totally make it into a full on filling and comforting meal with the chicken pot pie filling. So much easier too. 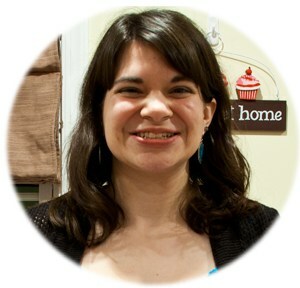 I love this and I love your photos too! Can you say comfort food?? This sounds perfect right now! The museum here used to do a series every year that paired up a scientist and a chef and they’d do cooking demos while talking about the tree of life and the science behind everything. It sounds nerdy (I guess it was a little) but it was so cool. Anyway, they had an event about potatoes one time and I learned that thing about the green potatoes there. So crazy, right?? The light in these photos is seriously gorgeous, btw. 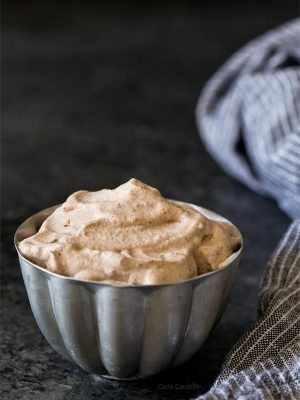 Loved learning about Idaho potatoes and seriously loving this recipe right now! Total comfort food and so many great flavors stuffed into these golden baked potatoes! It’s fun to learn where your food comes from! Hope you give it a try. Totally making this tonight. I can’t wait to report back how good it was. Yes please let me know how it goes! 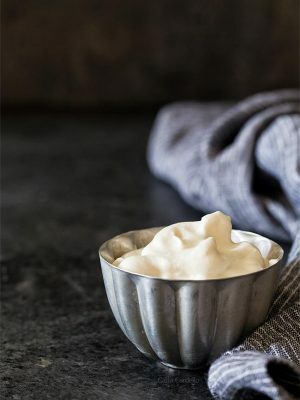 Baked potatoes with butter and sour cream are best, aren’t they? I am saving your recipe for chicken pot pie baked potatoes so I can make it for my family at our gathering.